We are a village in the city. Our members arrive from every walk of life .... all connected by both the competitive and social aspects of golf. We are a welcoming community. 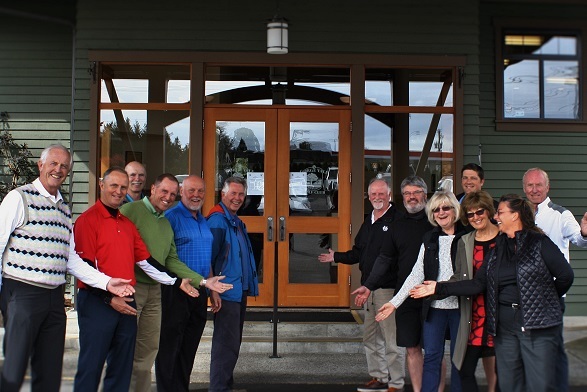 Because we represent every profession, vocation and skill that a vibrant community needs to make it work, we've naturally become an unpretentious and down to earth golf club. This is our 'home away from home' and to make sure new members feel the same way, we have designated 'Ambassadors' to introduce you to our community. We make sure that every new member gets connected with playing partners. Golf here is friendly, fast and fun. Our member tournament schedule is full of events for all ages and ability levels throughout the year. Social events, both on and off the course bring our members together for fun and friendship. Our clubhouse, casual restaurant, dining and banquet facilities combine a West Coast ambience with a great patio view of our course.